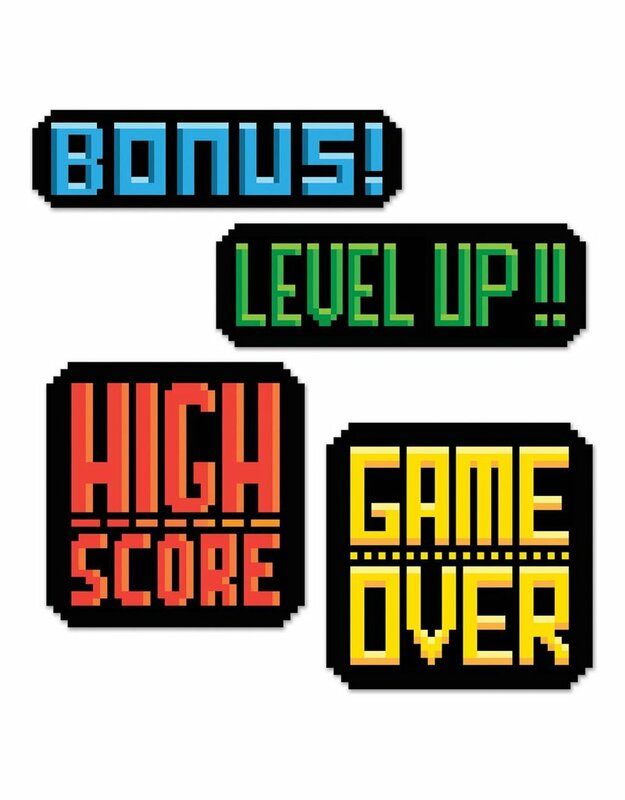 8-Bit Action Signs. Contains 4 signs - 9.75" - 14" in size. Turn your party into an 80's Video Game with these fun Signs!